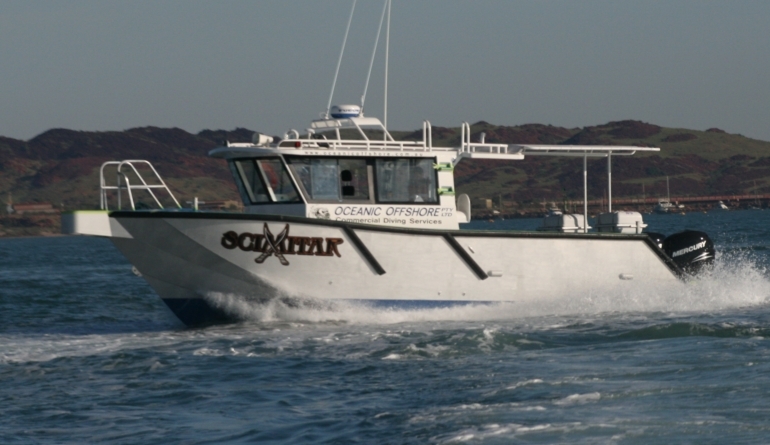 The twin sister vessel to the “Katana”, the “Scimitar”, was launched in 2011 with yet again another superb vessel built in-house at Oceanic Offshore, from one of our Kitsets. 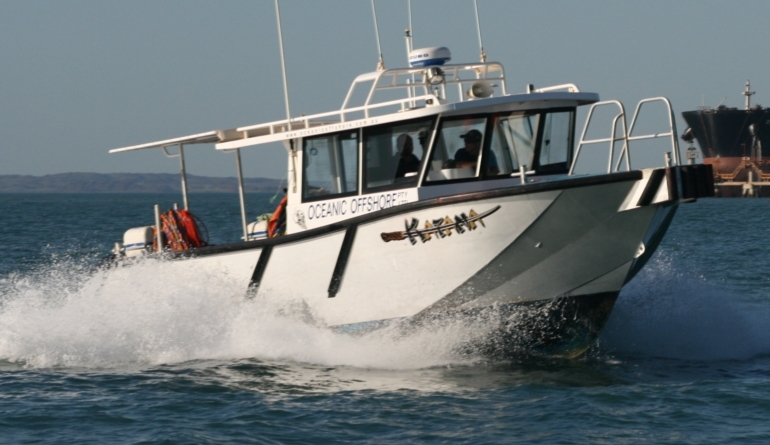 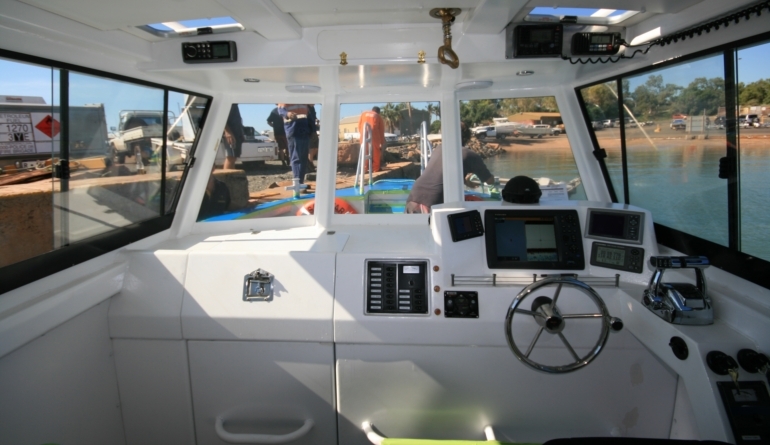 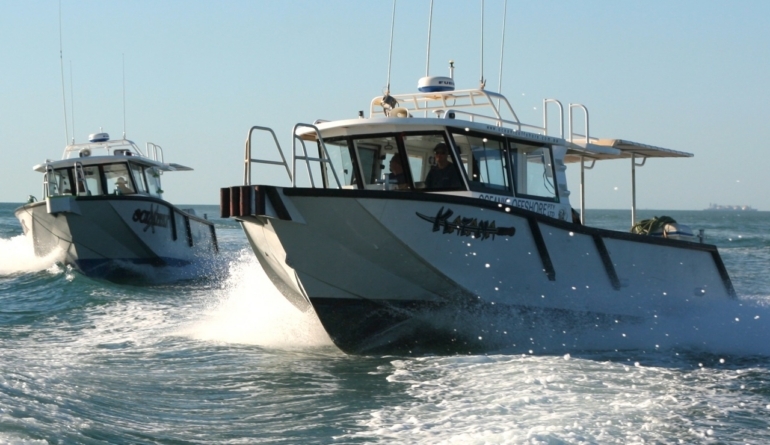 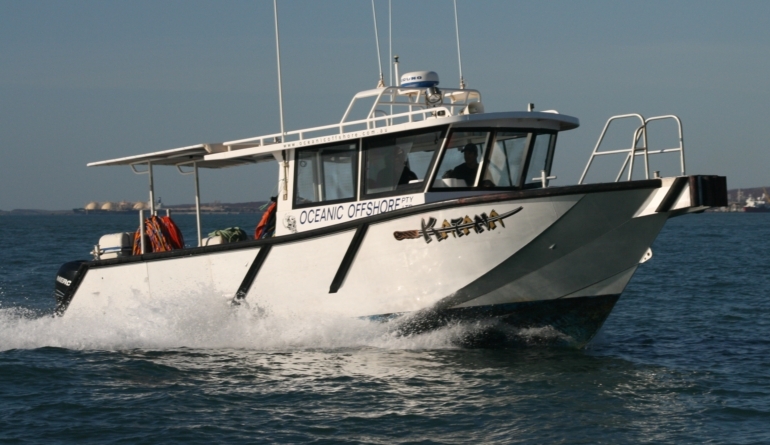 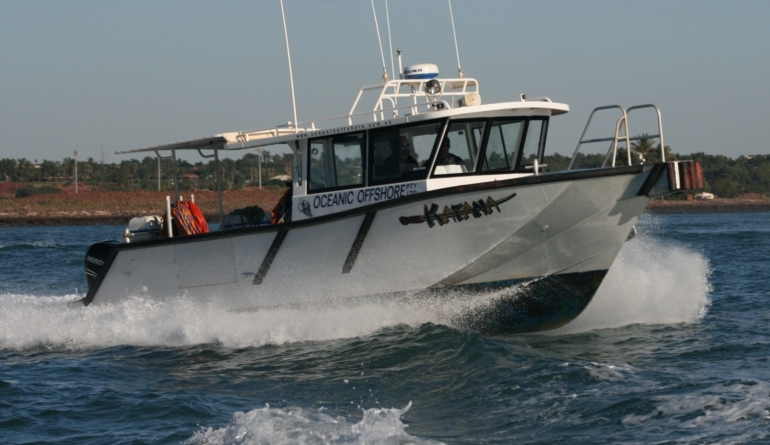 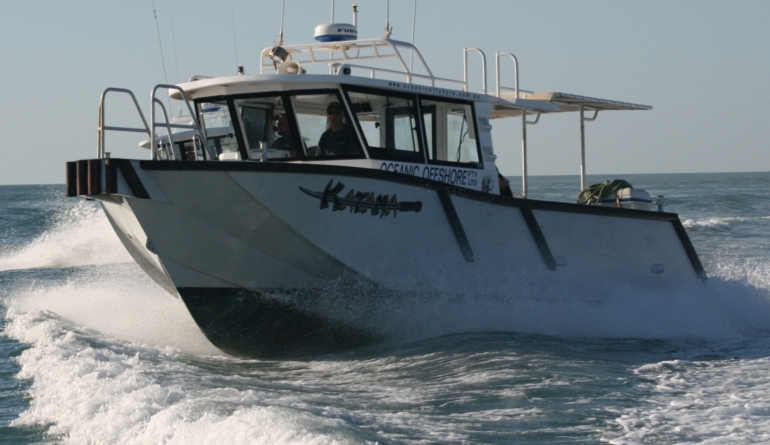 “Katana” was launched in July 2010 and is the very latest of our 10 metre hull, with the wheelhouse from the 9.3m Sea Rescue boats from Exmouth and Dampier. 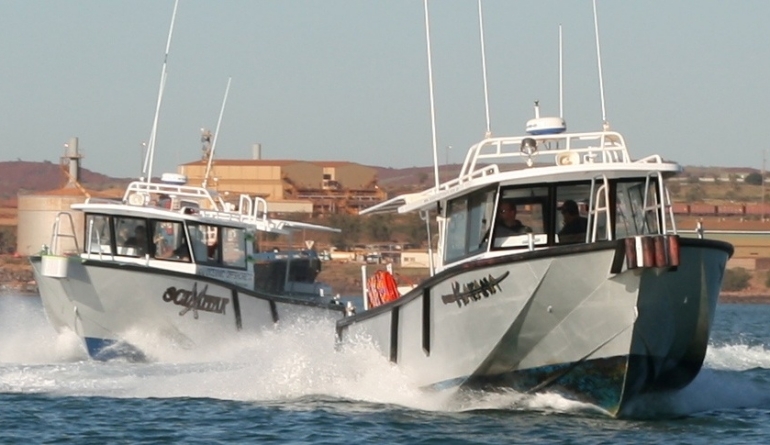 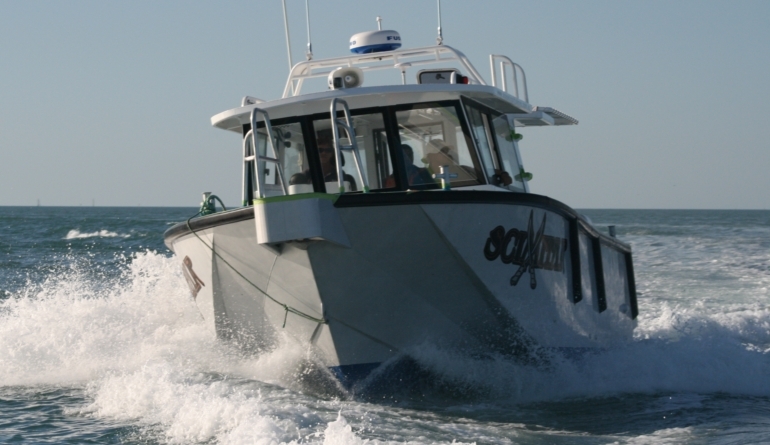 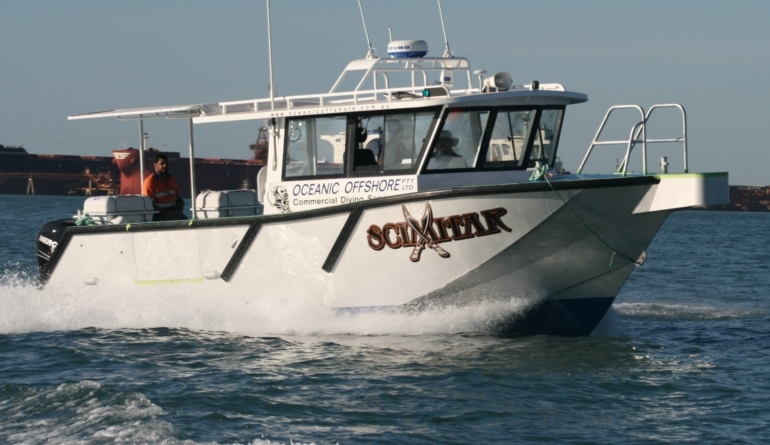 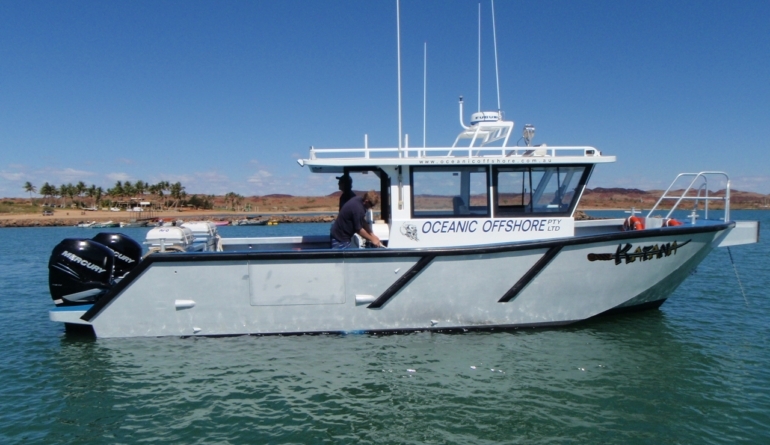 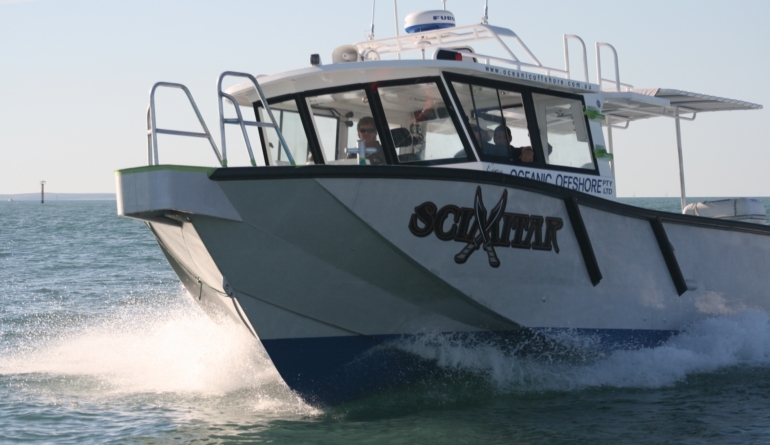 Oceanic Offshore built this vessel for their own diving operations out of Dampier in Western Australia. 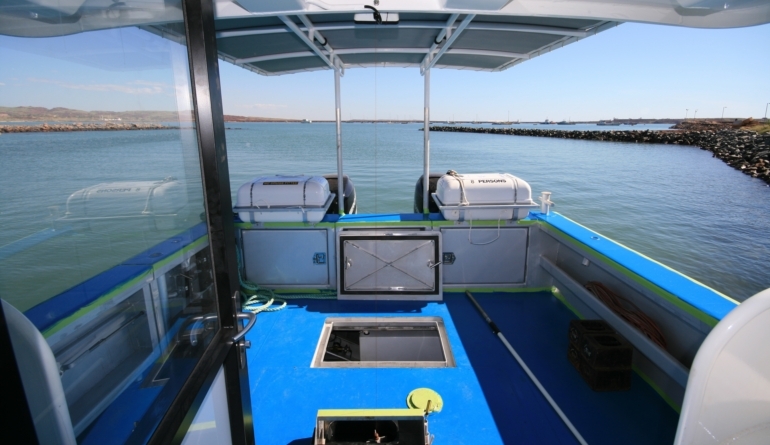 It is a specialized commercial dive support vessel with a range of very clever building ideas and extensive equipment to support the divers.